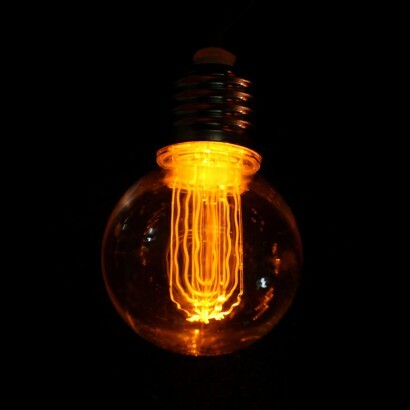 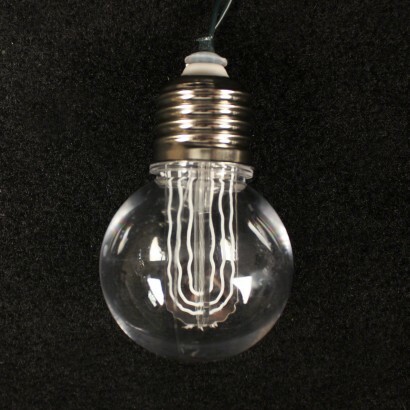 Retro styling on a smaller scale, these Edison styled filament bulb string lights are designed to have all the visual charm of Edison filament bulbs, but are actually lit by warm white LEDs. 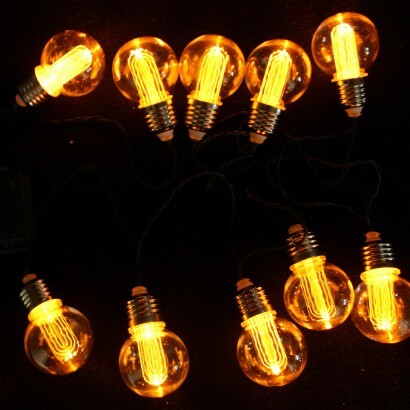 A string of ten retro styled bulbs, create stunning lighting features with these battery operated string lights that fill your home or garden with a warm, welcoming glow. 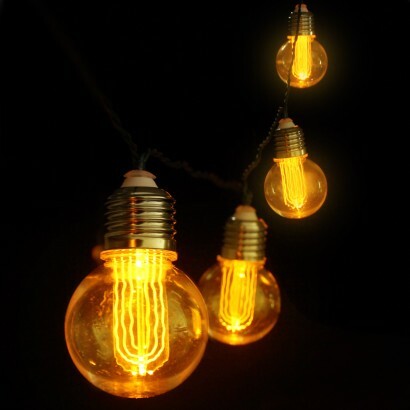 Complete with a timer function, these striking retro lights can be set to switch on at the same time everyday and switch off again so that all you need to do is place them and enjoy!